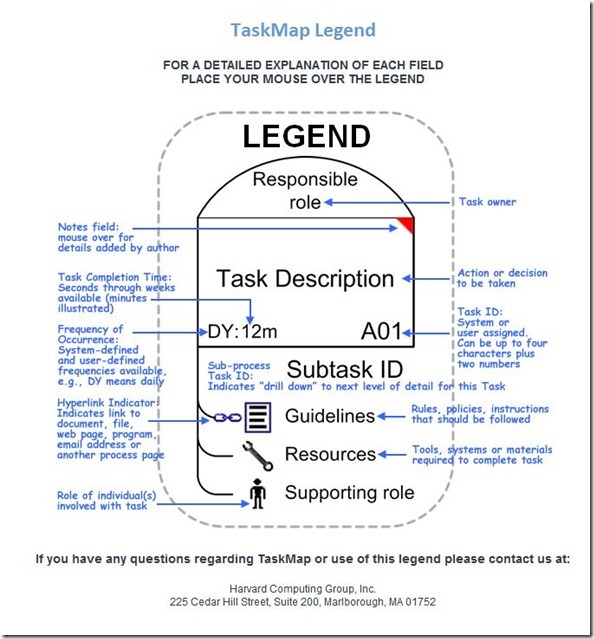 Depending on your choice of tool you may decide to select different metadata for your task library. What is metadata anyway? For the purposes of building a task library, I am going to ignore for now, other symbols or elements that will be important when you turn the tasks into a process. (e.g. connectors, links, and other labels). 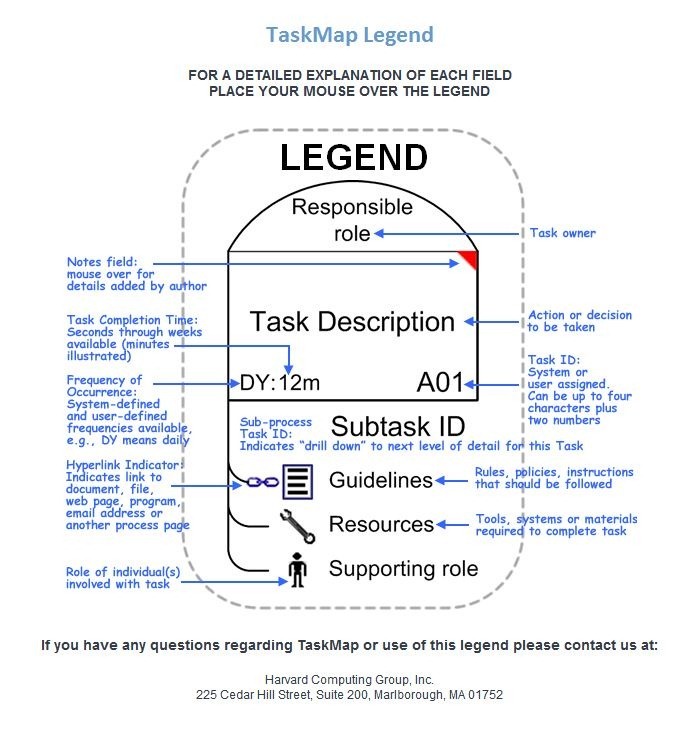 The following is an illustration of how these appear on a legend for the reader to follow the task details visually.